The BMW Mini from 1999 – 2006 (R50 / R52) was fitted with a Motorola TCU (Transmission Control Unit), also known as a TCM (Transmission Control Module). It is fitted to automatic models with the Continuously Variable Transmission (CVT). The TCU / TCM is a very common failing part and can be very expensive to replace. Replacement units will require coding to your vehicle and come with a limited warranty – typically between 30 days and 12 months. There are many problems associated with this type of transmission control module but the most common fault is the vehicle “jumping” into gear or not selecting the right gear. This will occur more often on a cold morning or whilst the engine is still cold. We are able to fully test & repair all types of TCU / TCM units. When rebuilding the Mini transmission modules we use new genuine OEM components to ensure that each rebuilt part will meet & exceed OE specifications. A rebuilt transmission control module (Gearbox ECU) from us will come with a Lifetime warranty and will not require any programming when being fitted back to the vehicle. The unit will be fully plug & play. We’re offering a fast, efficient & affordable repair service as an alternative solution to having the module replaced for a new expensive part. We also offer a professional fitting service if required. Tags : BMW Mini ONE Transmission Control Module Repairs, BMW Mini Transmission Control Module Problems, Mini Jumping Into Gears When Cold. I have a 2006 Mini Coooper S and am being tols by the dea service center that ther may be a “short ” in the TranS Controller Module. Causing engine lights to turn on . Shifts ok up to 55MPH then stays stuck and doesnt shift. Revs hig at 400 RPM +. Can you help with possible solution. You say there is no need to program and have the to re learn? This is a plug N Play solution? What is the price of replacement unit ? 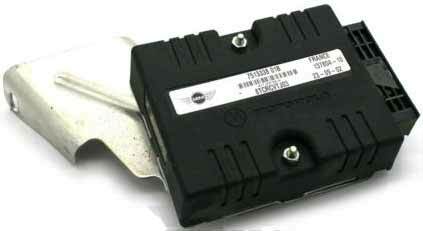 DO YOU DO BMW 7 series 730 2008-10 TRANSMISSIONS CONTROL MODULE TCM WHILW MY HAVE HAVE TURBINE SPEED SENOSOR FAULTY. I have sent you an email with full information and pricing for the BMW TCM unit. I have 2005 Mini Cooper 1.6 not a S model that is stuck in Limp Mode (6th GearOnly) error code comes up P1787 . 2011 Mini cooper Auto, R56, keeps sticking in park. ( After a manual release limp mode.) It has been suggested control module. Hi, I have R50, sometimes vehicle doesn’t shift gear atall, can’t drive more than 30km, check engine and elm error comes up on dashboard, when I reset come it helps for a while than the error comes again. When diagnosed by obd can’t access gearbox computer parameters are showen 0. What could be the problem? This sounds like an intermittent TCM failure, it’s a very common fault, one which we have successfully tested & repaired many times before but it will need diagnosing to confirm the fault. I have sent you an email with full information and pricing. I have a 2007 Mini Cooper S Chile Convertible autotransmission. The car starts and revs but when shifted to dr forward or reverse drive, the car wont move. Is it a TCM problem? There are many reasons for the vehicle to not move when put into drive/reverse. It could be a mechanical fault i.e. driveshafts & gearbox or it could be an electrical fault i.e. wiring, sensor or module. If the fault is with the TCM, we should be able to find the fault when testing the unit as we do simulate them in all conditions, including moving into drive & reverse. 2004 R50; no comm with TCU, No obvious wire damage, Gear Selector Module is functional; Sport Mode Inoperative…Crawls up to speed in First, shifts into second. Step down switch functions, but leaves car stuck in one gear until roll down to a stop.